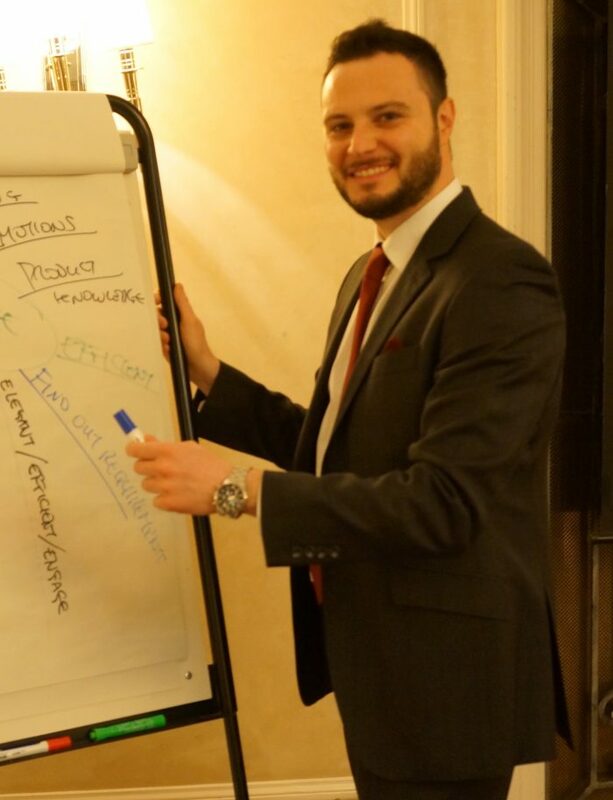 Daniele Perchiazzi is “Learning and Development Director” of Training Luxury. He graduated at the Faculty of Architecture at Politecnico di Milano, and is based in the UK. Daniele has worked his entire career in the luxury industry with significant management experience both in market development and in luxury retail. As Product Manager of Amati Luxury (luxury Italian made furniture), he’s also been in charge of the expansion of the business in the UK, the Netherlands and the Norwegian market. In luxury retail, he has worked in London for some of the most prestigious brands (Ermenegildo Zegna Harrods, Dolce&Gabbana, Louis Vuitton) gaining deep knowledge about operations and staff management. The possibility to manage personnel during his career as a manager has commented Daniele’s interest in people, their empowerment, and their release from limiting beliefs aimed to achieve their professional goals. That’s why Daniele decided to dedicate his studies to people development by achieving a full qualification in DISC, HOGAN and MBTI Practitioner (Oxford Psychology Press) and Licensed NLP Trainer (The Society of Neuro-Linguistic Programming of Richard Bandler). He has successful experience, in training with brands like Gucci, Stella McCartney, Pal Zileri, Bvlgari Hotel London, Cloudreach, Hinerava, Mercury, Just Eat, among others. Since 2012 Daniele he has worked as Corporate and Executive Coach and Trainer with mid-senior management in Retail industry, Finance, Insurance and Banking. Specialties: Leadership and Luxury Sales training, Business coaching, Retail management.